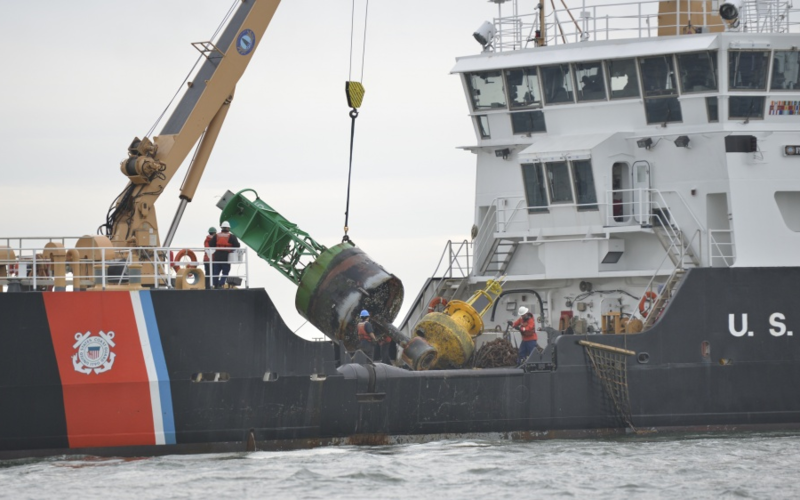 Source: Defense Visual Information Distribution Service, Coast Guard, Navy remove aground buoy from Chic's Beach, Va. 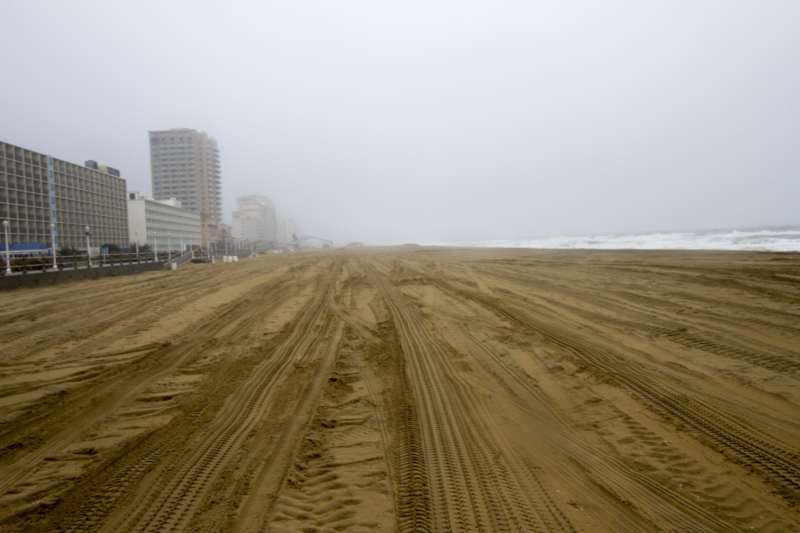 The US Coast Guard marks shipping channels that offer safe access to wharves and docks. When sediments clog a channel, the Coast Guard will remove the navigation markers. 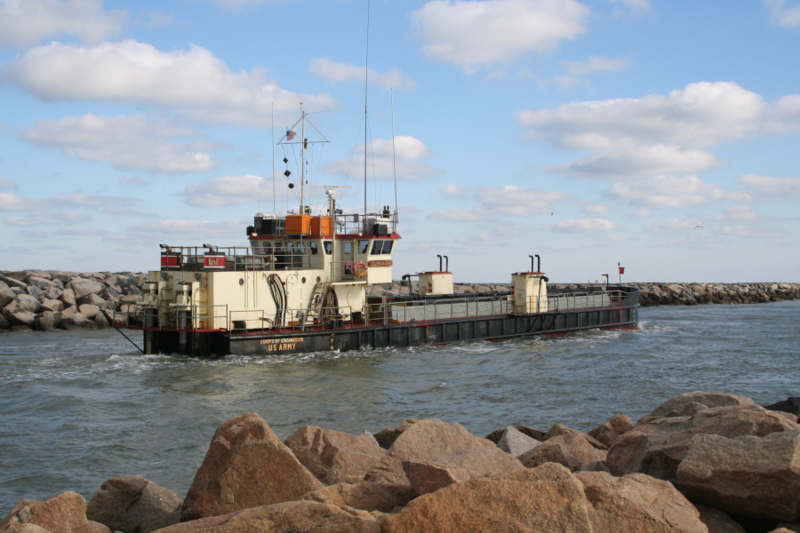 Marinas and shore-based operations get upset when channel markers are replaced with buoys warning that the channel depth is no longer consistent with navigation charts, because the warnings can reduce business substantially. 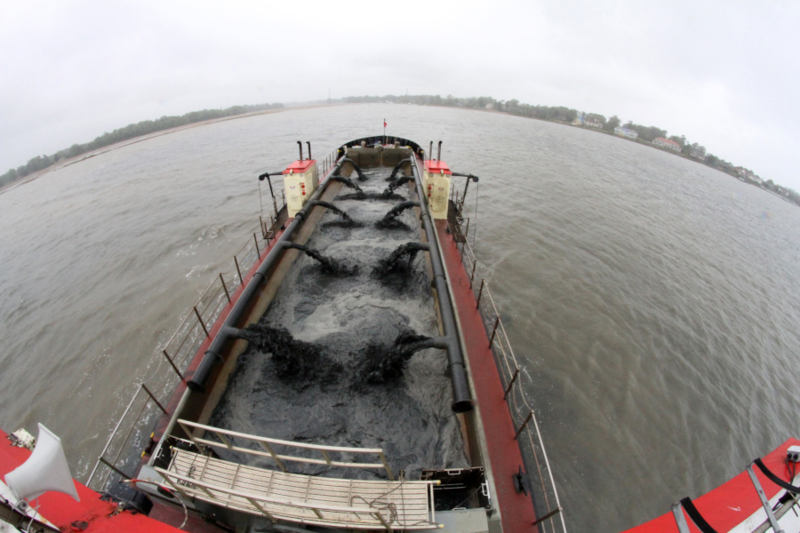 A separate Federal agency, the US Army Corps of Engineers, is responsible for dredging many of the navigation channels to keep them clear of obstructions. 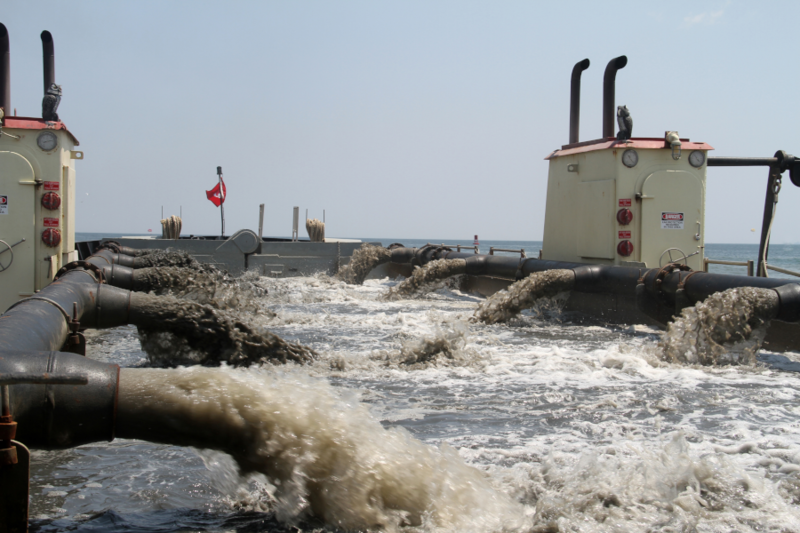 The military has its own ships than can dredge channels, but in many cases the Corps awards contracts to private sector companies to do the work. 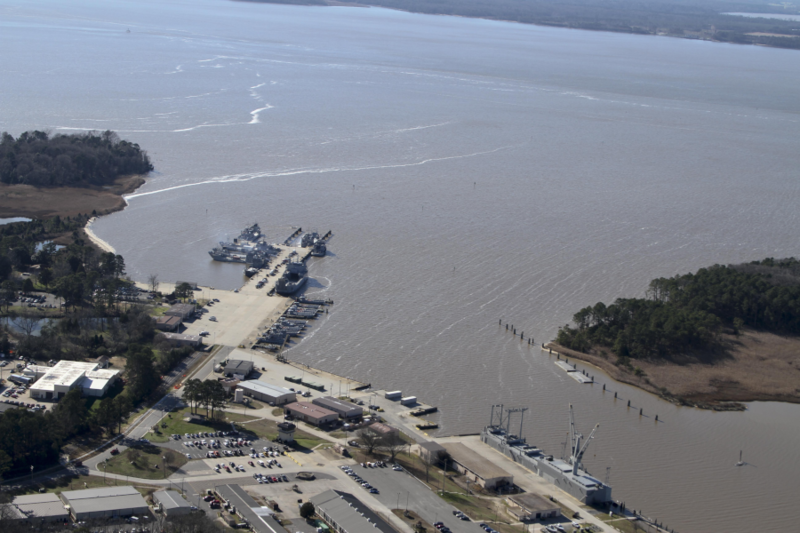 Ships docking at the Third Port facility at Fort Eustis must travel up Skiffe's Creek. 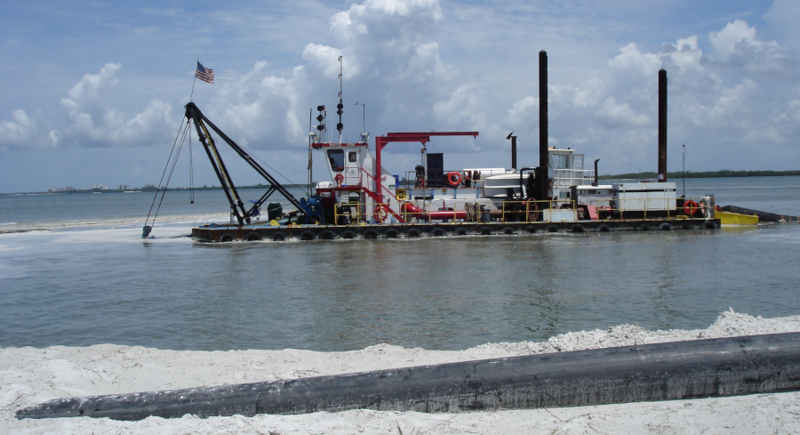 River currents was sediments into the shipping channel, but the US Army Corps of Engineers maintains the depth of that channel by dredging. 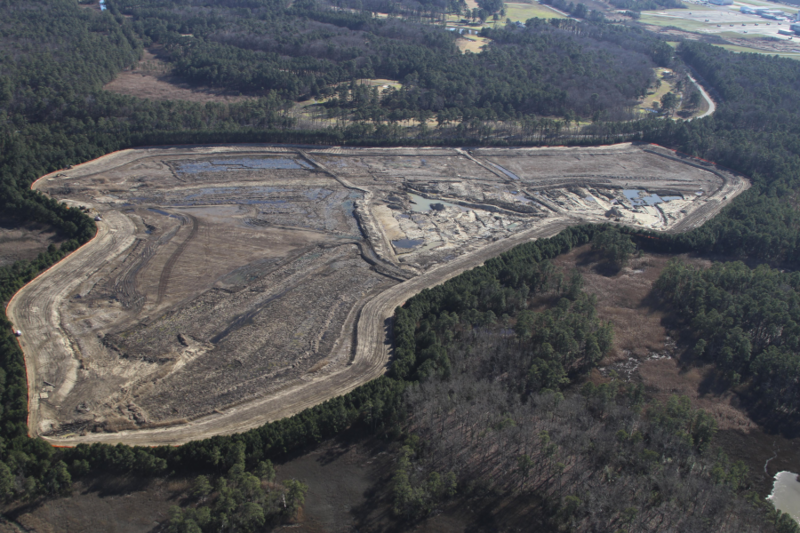 The material removed from the bottom of Skiffes Creek and the James River is known as "dredhe spoils." 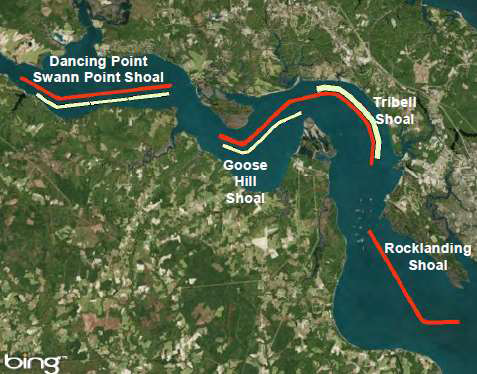 If dumped into the James River of the Chesapeake Bay, those sediments would wash downstream and clog another shipping channel. 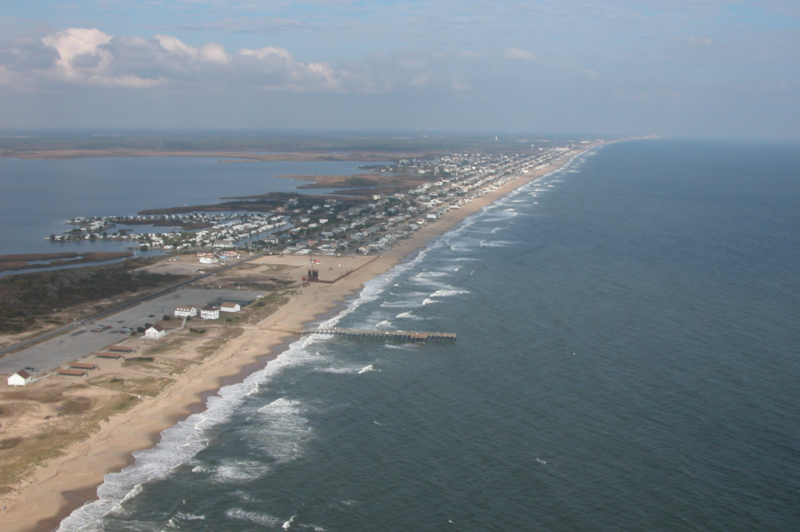 The Corps could haul the sediments from Skiffes Creek to the Atlantic Ocean and dump them in a designated disposal area on the Outer Continental Shelf, but transportation costs are too high. The solution was to create a disposal facility on land. 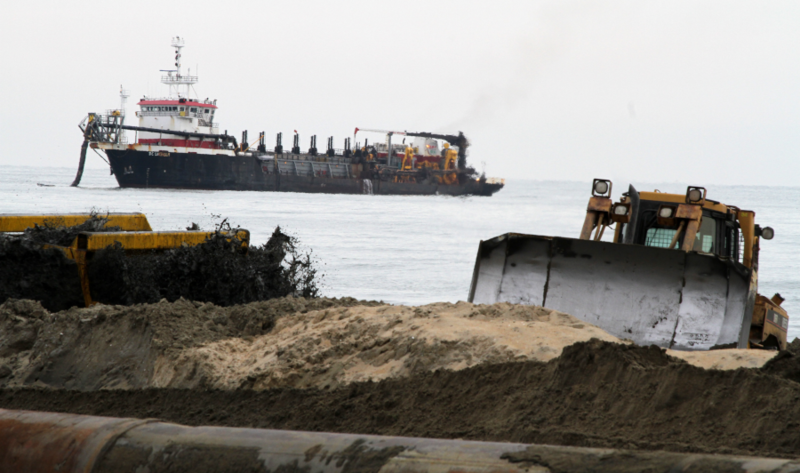 The Skiffes Creek spoils are deposited into the Fort Eustis Dredge Material Management Area, where the sediments will not wash back into the channel.